Behind three goals from red-hot Bobo Carpenter, a pair from Brady Tkachuk and 23 saves from Jake Oettinger, BU began its series with Arizona State with an 8-0 blanking. Defensemen Dante Fabbro and Cam Crotty and forward Gabe Chabot each contributed two assists as the Terriers generated their second highest scoring output of the season. BU is now 4-0-1 in its last five games and will look for a second consecutive weekend sweep when it faces the Sun Devils again on Saturday evening. ► The live stream of the game on Pac-12.com failed due to technical problems. Saturday’s game at Oceanside Arena is expected to be available via live stream. After ASU controlled the early going, only to be stymied by Oettinger, Carpenter, who now has seven goals in the past four games, connected at 7:20 of the first period on a power play. Then, late in the period, three BU freshmen found the net three times in 1:50. First Hank Crone converted the rebound of a Ty Amonte shot for a 2-0 lead that quickly doubled when Tkachuk and Shane Bowers scored goals 21 seconds apart. Early in the second, Carpenter cleaned up the rebound of John MacLeod’s shot to make it 5-0 and midway through the period Chase Phelps got his first of the year, unassisted. In the final minute of the period, Tkachuk scored a power play goal on a pass from Fabbro with Carpenter also assisting. Carpenter completed his second hat trick of the season early in the final period with Chabot providing a helper to close out the scoring. 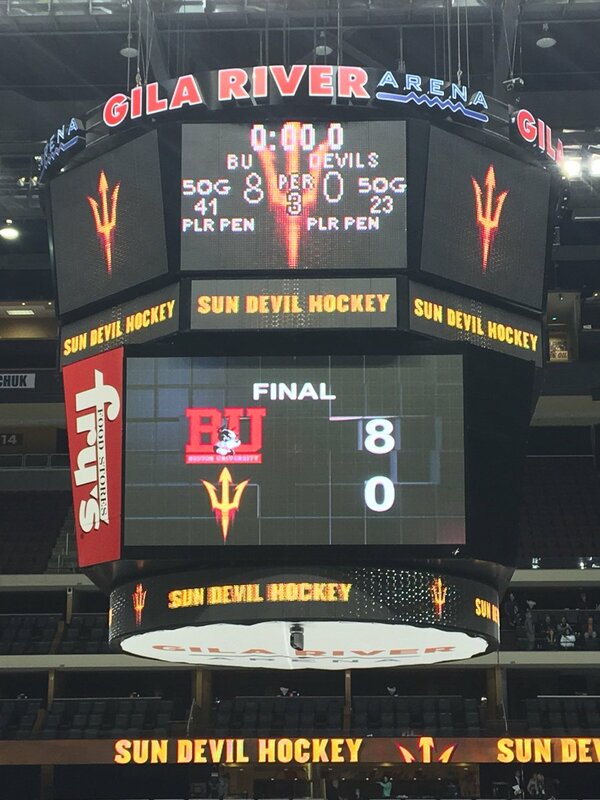 BU scored on two of five power plays, while killing all three Sun Devils man-advantages. The Terriers poured 41 shots on the ASU net while limiting their hosts to 23—just nine in the final two periods. 2018 recruits Joel Farabee and Tyler Weiss each scored a goal in the NTDP U18s’ 6-1 win against St. John’s University. Fellow recruit Jake Wise assisted on two goals. 2019 recruit Robert Mastrosimone, who turned 17 this week, scored a goal and assisted on three others in Chicago's 8-2 thumping of Muskegon. Adam Clendening assisted on a pair of goals—including the overtime game-winner—as Rockford defeated Ontario, 3-2. 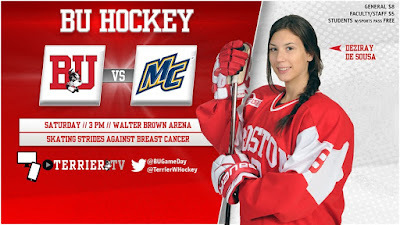 Terriers will complete their home-and-home series with Merrimack this afternoon with a 3 p.m. start at Walter Brown Arena. 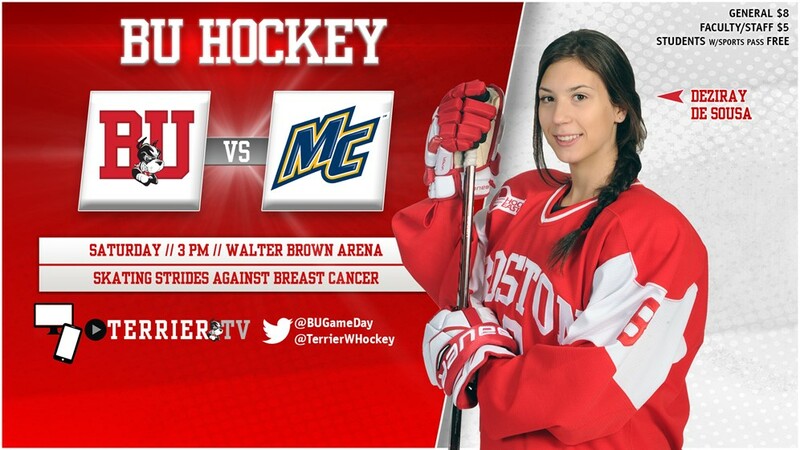 BU defeated the Warriors Thursday, 5-1, and had dropped a 2-1 decision to the ‘Mack back in September.